Who's your favorite one out of the three kids in Twilight Town: Hayner, Olette, or Pence? My favorite one out of the three is Olette. I love her personality, and I think they should have her play a much bigger role in the series than she does. His dogstreet shirt is a fun little reference, and so far he is the only kid with a hobby other than sewing/crafting or beating up other kids. Plus his little splash of humor is pretty funny. Waiting for the ghooost traaaain. I think he brings a lot of personality to the beginning tutorial section. I just love how all of these characters are going to be in the main plot again. It's probably Olette, I guess? She could have been used more. Most underrated trinity by far. Olette. She seems like the nicest and the most sensible of the group. The level-headed one that glues the group together. I also like Pence, because he looks like that fun youtuber. SuperButterbuns ? I think is the name ? Pence feels the most like a character to me, he's funny but also level-headed and that grounded quality helps his comedic moments land better than...other efforts at comic relief in the series. Hayner is fun in his own way I guess but he mostly exists in KH2 to give Roxas a "main buddy" to brush up against and then kind of dissipates as a character after the introduction portion. Olette is too likable and bland. She's just there to fill the obligatory "girl" slot and while I'm always down for more women in KH she is literally an afterthought that doesn't even rise to the level of DiD or trophy gf for either Roxas or Hayner. I would have been thrilled to see her and Kairi develop a friendship post-KH2, and even for her to learn about Namine through learning about Roxas and maybe have that become a thing (it's not like I'm gunning for an all-girl trio offshoot though, nope what are you talking about!) but then that would have required giving Kairi a plot to follow in any of the games and we couldn't have that. Overall I'd say HPO isn't so much underrated as a trio as they're underutilized, and we haven't really been given a reason to care for them aside from the bridge they provide to Roxas. They're an appendage of his storyline. The HPO we spend the most time with in KH2 isn't even the "real" trio, but they have planted some seeds here and there which could come to fruition in KH3 if done right. Mostly though I imagine their role will be functional and not strongly poetic or anything. Pence for sure. Just seems like a chill and cool guy to hang out with. Hayner is my favorite. There just seems to be more character to him than the other two. Olette's okay though. Pence always got on my nerves. Pence is my personal favorite. I like that he knows a lot about tech stuff. I just want to know what Dog Street is referring to. Though between the two I find Seifer's group a bit more interesting. I'd be disappointed if they were omitted from KH3. Olette I guess, since she seems to have her head on straight. I always thought the Twilight Town trio needed more screentime and stuff to do. Pence, he has a stubborn yet ultimately friendly attitude that just make him distinct enough from the rest of the Kingdom Hearts cast. 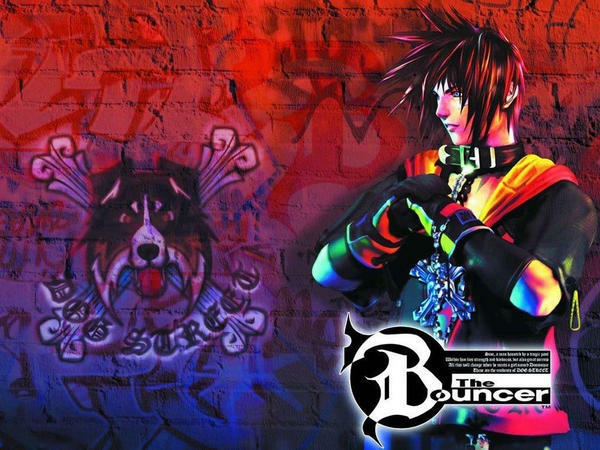 It's a throwback to the fashion label in The Bouncer, Squaresoft's first PlayStation 2 game. Pence has definitely shown off the most character traits in the short time we've seen him. Like Rydgea said, he's a storyteller, a friend, and a jokester. Compare that to Hayner, who is a jerk and gets rekt, and Olette, who likes HOMEWORK. Not that they're terrible but it's kind of funny that Pence is a much more valuable character when you really think about it. imagine pence doing a youtube channel for KH3! If I wrote KH2, I would have had Olette walloping Axel on the head, rescuing Kairi, then the two newfound lovebirds go on a date and don't even notice when Sora shows up (Sora only showing up in time to find an unconscious Axel). Hire me, Nomura! I can save the franchise! Which is to say, I like Olette. She's cute. Pence because he's chubby (a nice change of pace from most of Nomura's characters) and cute. Pence is a nerd and I love him for it. I also really like Olette too. Pence knew (was probably the only one too, which is kinda sad) to properly operate a computer, which means he was actually invaluable in propelling the main story forward. Olette made a pouch that turned out to be a key clue to figure out the double city shenanigans. Not quite on the same level as "let me operate literally the only thing that could get the hero's party where it needs to", but good enough. Still have to find an actual use for Hayner. He might truly be the most useless of the named characters in the series. Pence for his apparent immunity to plaid. He, uh.......has a good meme?